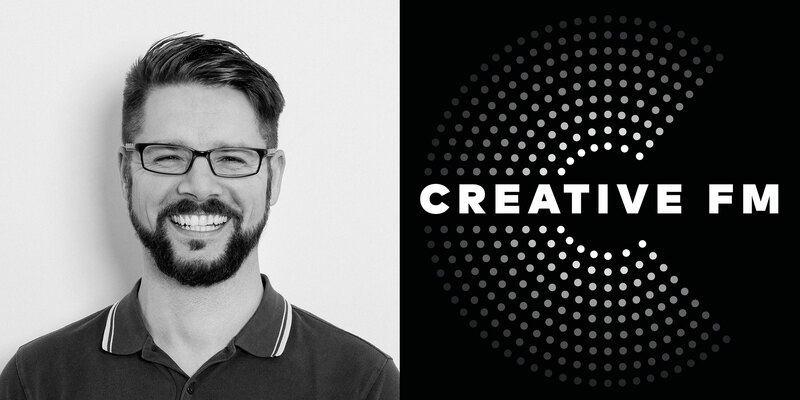 Creative FM is the creative leaders podcast with me, Ivo Gabrowitsch, where I speak to designers, makers, and interesting brain-workers from across the world to hear their stories and discuss creativity. If you are looking for inspiration to boost your own creative business, this podcast is your supersonic aircraft. So take your seats and enjoy the trip through the fascinating secrets of success of outstanding creatives. Photo by Norman Posselt. Hire him, because he’s good. You can either read below or simply listen to it in this special podcast episode. Or skip both. I have 15 years of experience in marketing, product, and creative direction. Having led several talented teams, I have spent most of my career working in the typeface industry for brands including FontShop, FontFont, MyFonts, and Linotype. Currently, I work as Senior Director of Marketing for Monotype’s Digital Commerce group. I am undeniably a type geek and glad that I can make a living with it. My list of achievements includes the initial development and introduction of self-hosted webfonts as a business model. Its main part—the licensing based on pageviews—soon after became an industry standard. Developing products is one of my favorite things to do. I was also responsible for the full marketing chain around the launch of several today popular typefaces like FF Mark and FF Chartwell as well as the (re)launch of complex e-commerce websites and online tools as the project lead. For some of these web projects we received some accolades, including the European Design Award in gold, the German Design Award, the iF communication design award in gold, TDC Certificates of Typographic Excellence, as well as a Nomination for The Net Awards Redesign of the Year. Seems also like I have a knack for design which might be because I am a trained Digital Media Designer and a graduated Engineer of Print and Media Technology whose other favorite thing to do is to build and lead ambitious teams. I can’t say how much I appreciate the opportunity to do just that: to manage and inspire talented people so as a team we can create desirable products or run successful marketing campaigns. More about my professional self can be found on LinkedIn. My favorite side project so far that some of my type geek listeners might know me from is the Typostammtisch that I founded in 2006 and which is now the regular typography meet-up in Berlin. Nobody would have ever heard of or even remember my radio show at a local station or the production work I did for a local TV channel, but this is also part of my history. Over the years I also worked as an editor for a number of publications on several creative topics and even earned some money with stock photography. Creativity in several forms was always important, so this podcast project is perhaps just the next logical step. Creative FM is a solely private project which, for now, starts as an irregularly published podcast, with a new episode every few weeks. Thank you for listening and spending some time with me. If you like this podcast, please share it on the social networks. Also, I’d be more than happy to receive your rating and comment on iTunes or wherever you get your podcasts from. Danke.